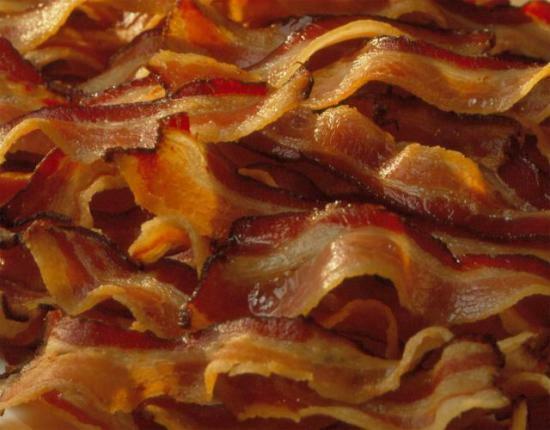 I just heard about a 105-year-old woman in Texas who says her secret is that she eats bacon every day. I don’t know if that will stand up to medical scrutiny, but it’s worth something. The article then references another study saying that even a single serving of processed red meat increased the risk of participants dying by 20%. I may not be a statistician, but I figure the risk of dying is 100%. 🙂 You can eat all the plants you want, but it is appointed for everyone to meet their Maker at some point. Obviously bacon is somewhat unhealthy — not completely, but in some ways. However, if a single serving of bacon (or any red meat) increases your risk of dying by 20%, and this woman has eaten bacon every day for 105 years so far (which could be up to 38,000 times), what would her risk of dying be? I’d like to see one of those researchers calculate it and go tell her. Maybe she’s like one of those cartoon characters who is invulnerable to the laws of physics because they don’t understand it. 🙂 Either way, whatever she’s doing has worked for her. 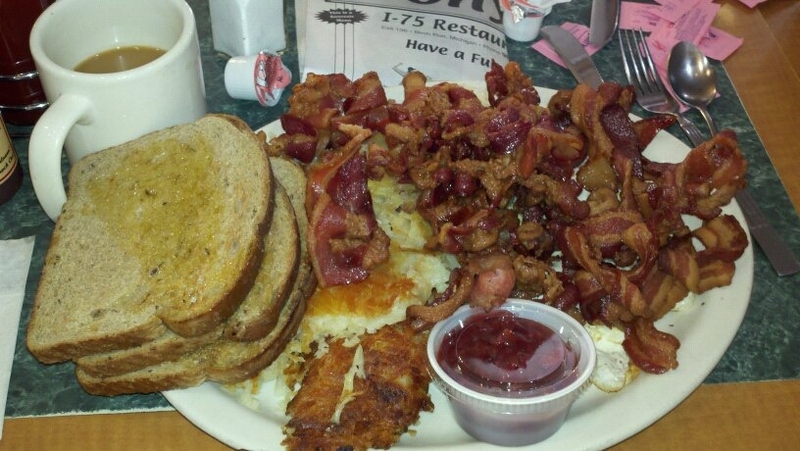 This breakfast platter from Tony’s I-75 restaurant in Birch Run, MI, has 1 pound of bacon. I’m not claiming that all this research is bogus, but I think there’s a LOT more to it than just saying eating meat will kill you early. I’ve known quite a few people — including my grandparents — who ate big country meals all the time (which included lots of butter, gravy, and fried foods), yet lived to be 90+ and still had above-average health. I know that’s a small sample, but when you consider how Americans used to eat versus what we now “know” about nutrition, it’s amazing any of them lived past 25. I’m not saying fattening foods are healthy, but I do wonder if natural / organic fattening foods might be healthier than much of the modern stuff with preservatives and additives and chemicals. I can’t prove it, and I’m not convinced either way yet, but I do think there’s a lot more to nutrition and healthiness than we currently know. In recent years I’ve heard some “experts” on TV say you should eat light on Thanksgiving so you don’t become obese. First of all, that’s stupid, and second, the research doesn’t support such tomfoolery. According to a study, the average weight gain for the holiday season (including Thanksgiving, Christmas, and New Year’s) is just 0.8 pounds. That’s not a typo. For all the hype from the media outlets, you’d think people were becoming instantly obese from a couple of big meals. 0.8 pounds is nothing — you can gain that just from eating normal, or if your regularity is not as regular. I figured the number would be higher, given the big holiday meals, the extra cookies, and the parties. Obviously some Thanksgiving meals are more fattening than others, but a traditional feast shouldn’t be that bad. I figure a normal Thanksgiving dinner wouldn’t be more unhealthy than some of the things you can get at restaurants, particularly all-you-can-eat buffets. Plus you might be eating less processed food, which could make it healthier. 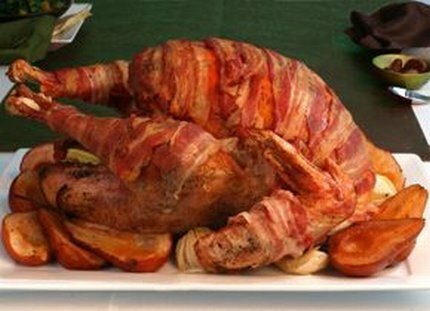 To diet on Thanksgiving day and Christmas day is foolish, if you want my opinion. It’s hard enough to diet and eat right, particularly if you enjoy eating. To miss out on the most special meals of the year would be depressing. If you’re seriously trying to lose weight, one way to approach it is to eat healthier in the days leading up to the big meals, to rationalize eating a lot at the family get-togethers and parties. Of course, common sense disclaimers apply. For example, if you’re on the verge of a heart attack or some other severe health problem, maybe you shouldn’t eat a huge meal, but in that case, you should do something about it NOW. Okay, so obese people gained more weight than average. That’s not exactly breaking news, since they’ve obviously been gaining weight before then, so they’re just continuing the trend. But notice the quote from the researchers, which basically says they’re still sticking to their hypothesis even though the statistics don’t support it. Hopefully some people were reprimanded over that kind of junk. So in conclusion, don’t feel bad about eating a few big meals during holiday feasts and parties. The obesity problem isn’t caused by a couple of big meals here and there. (Shouldn’t that be common sense?) And the next time a news person on TV says to cut back during the holidays, eat another piece of pecan pie… or pumpkin pie… or cookies… you get the idea. 🙂 Eat, drink, and be merry. 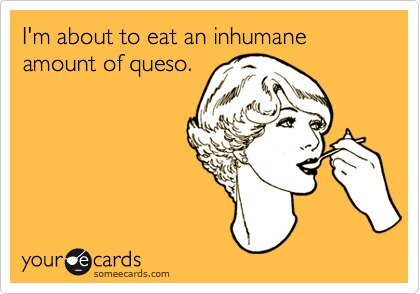 I just heard in the news that there’s a woman who must eat every 15 minutes to stay alive. She eats up to 60 small meals a day, consuming between 5,000 and 8,000 calories per day, yet she cannot gain any weight. She gets excited if she gains even one pound. She wears size triple zero clothes. The doctors say it’s a condition called NPS. On July 4th every year, there’s a hot dog eating competition which brings out the world’s best at such things. This year, former world record-holder Takeru “The Tsunami” Kobayashi tied with defending champion Joey “Jaws” Chestnut. Get this — they each ate 59 hot dogs (with bun) in 10 minutes. The winner gets a one-year supply of hot dogs from Nathan’s. Anyway, back to the 2008 competition. I had the misfortune of watching it this year because the people whose house I was at decided to watch it for some reason. The two former champions tied, so we were wondering what should happen. One of us had the idea that they should have a race across a football field, lengthwise, to see who wins. That would be funny to watch them try to run after consuming 59 hot dogs in just 10 minutes. 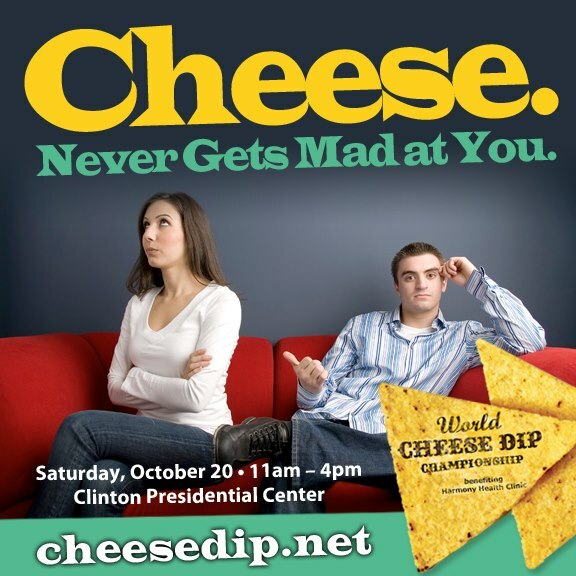 (They’d probably need to censor out the ensuing vomiting.) But instead of this, they had a “dog off” where the one who had 5 more first won. Also, there were quite a few contestants that weren’t even close. As far as I saw, none of them stopped eating early. I’d think they’d stop the torture if they saw the scoreboard and noticed that they were 10 hot dogs behind already. Why would they keep going? But maybe they wanted to say they did their best. So even though we’re going to Larry’s tomorrow, I figure that’s really only 1.75 meals away. There’s lunch today, that’s a full meal. Then dinner tonight, eating a bit less than usual that’s .70 of a meal. Breakfast tomorrow is just a nibble, that’s .05 of a meal. Then for lunch tomorrow I’m 1.25 meals short, so that’s 2.25 meals for lunch. And since nobody wants to eat dinner after Larry’s, that puts me up to 3.25 meals for lunch. That would actually make a good slogan for them: Larry’s Pizza — It’s 3.25 meals good. That makes sense to me! For those of you who skipped over the numbers and don’t want to apply them in your head, I’ll take care of the math for you. If a normal serving size is 4 pieces (which seems low to me, but we’ll start with that), then 4 times 3.25 equals 13 pieces of pizza. If your normal serving size is 6 pieces, then applying that equation would result in 19.5 pieces of pizza, which is quite a haul for one meal! It’s been a while since I’ve answered viewer mail, so here goes. Like always, these are actual search terms used to find this site, followed by commentary and analysis. There wasn’t any questions to answer this week, but if you have any, use the “Contact Us” link to send it to us. flavor of poop — I haven’t ever researched this (for good reason), so I’m going to resort to a third-party on this one. I have read of someone who actually ate some, and he said it tasted about like what you would expect. I wish I could find the reference to it, because I’d give him a few seconds of additional fame for his feat. i would like 17 super powers please — Doesn’t that seem kinda greedy? Of course it would be great to have more superpowers than you know what to do with, but then some would get wasted. Besides, can you think of any superheroes that have 17 super powers? That would offset the balance on both sides, and it would be really bad if you decided to use your powers for evil. So, sorry, on this request you’ll have to be DENIED. coworker is an alien — If this is true, then you need to be very careful! An alien is not going to come to Earth just to sit in a cubicle and do work; he obviously has some ulterior motives. He could be here for research, spying, infiltration, or kidnapping. But regardless of that, there’s another aspect of this to consider. Do you have any idea how much fame and fortune you could get by discovering an alien?!? People have tried to prove the existence of UFOs for decades, and if you could, you’d be so famous. So document all your encounters with him/her/it, and keep your proof in a safe place. Write a book with an accompanying DVD, then hit the talk show circuit. You’ll easily make millions! why do pickles explode — BECAUSE THEY’RE EVIL!!! Actually, I didn’t know they explode on their own, but I do know for a fact that they’re evil. Does anyone have any evidence or explanation of them exploding? My plan of shooting all pickles into the sun would cause them to explode, but if there’s any natural exploding of pickles, I’d like to know about it. unbreakable stuff — That’s just a myth. Nothing is unbreakable. I’ve worked with people who were naturals at breaking anything. why should i eat chocolate — This one is really easy — because it tastes great! What other reasons do you need? But if someone is trying to convince you that it’s not healthy, that’s just because they want the chocolate for themselves. Chocolate actually does have nutritional properties to it. It has antioxidants, which nobody understands, but they say your body needs them. And chocolate is a great source of sugar. I know, sugar gets a bad reputation these days, but did you know your brain runs on sugar? It’s true, look it up. Of course, your body can create sugar from foods like fruits and vegetables, but why not save the time and effort by eating chocolate, which has your daily sugar needs in highly concentrated form (plus it tastes much better). That’s it for this week. Now you know more than before. You’re welcome.